This furnace reminded me a little of the statues on Easter Island gazing off timelessly, but with a harsher industrial twist. Watching the seasons change from it’s broken, decaying home and waiting for the inevitable bulldozer to clear away the last chapter in it’s existence. 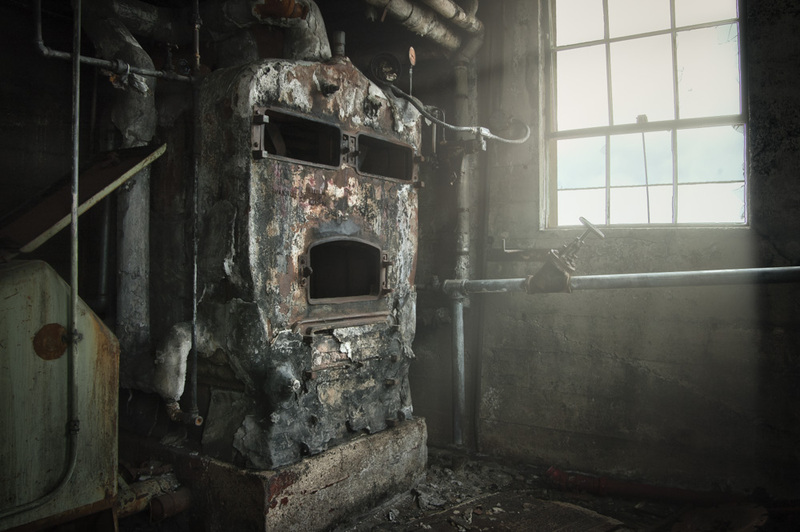 This thing creeped me out on so many levels, an industrial artifact resembling a face, in a decaying basement, looking out a broken window… With the wind slamming doors in other parts of the building. excellent, i like this shoot!